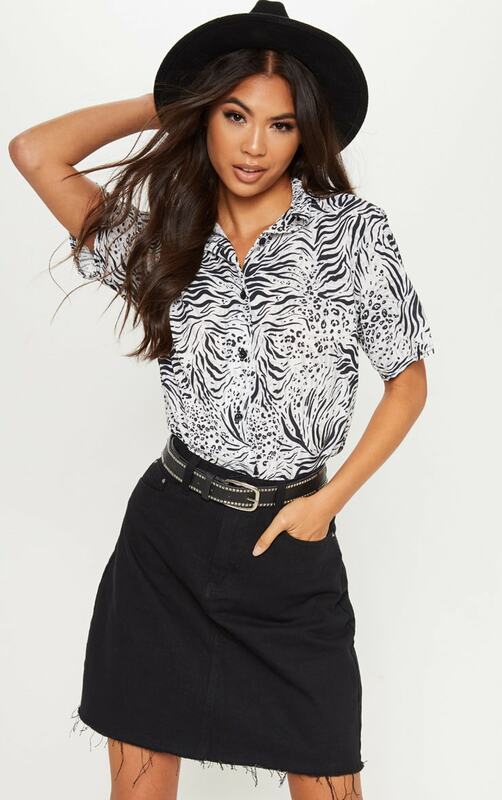 We are obsessing over this shirt to complete your weekend look. 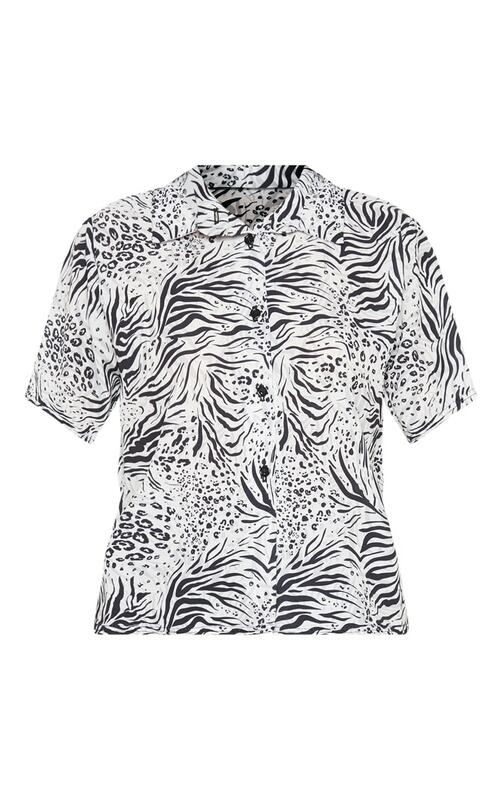 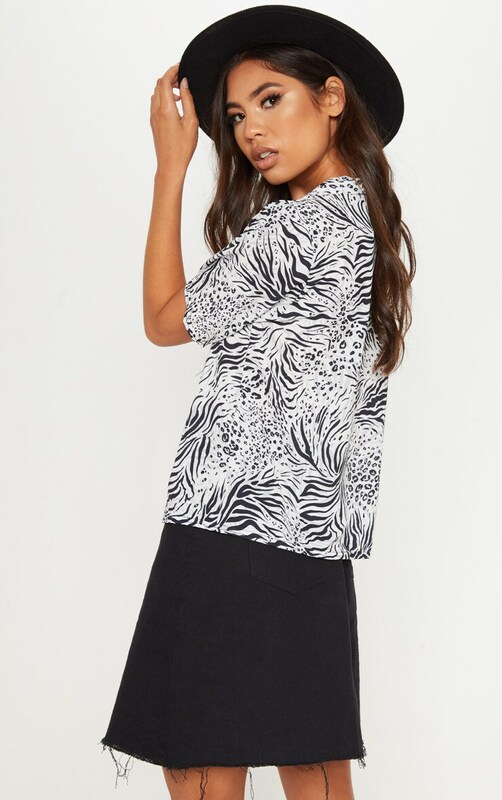 Featuring a grey animal print fabric with cropped sleeves, a button up front and loose fit, you can't go wrong. 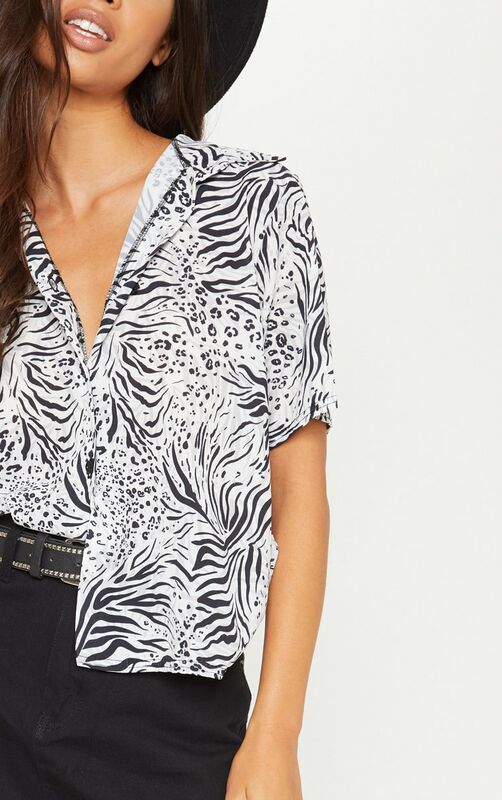 Style tucked into your favourite pair of black skinnies and complete the look with a chunky belt.